A study out of the University of California at Berkeley conducted over a 20-year period and funded by the National Institute of Mental Health, published in the Journal of Consulting and Clinical Psychology, researchers and psychologists found that girls who have ATTENTION DEFICIT HYPERACTIVITY DISORDER (ADHD) show higher rates of self-inflicted injury and suicide attempts than girls who do not have ADHD. Researchers found that of the girls in the study diagnosed as both ADHD-inattentive and ADHD-impulsive, 22% reported at least one suicide attempt by the 10-year follow-up mark; of the girls diagnosed as only ADHD-inattentive, and 8% reported at least one attempt at suicide at some point, compared to 6% of the control group. In the category of self-inflicted harm, researchers found that 51% of the ADHD-combined group reported instances such as scratching, cutting, burning, or hitting themselves as compared to 29% of the ADHD-inattentive group and 19% of the control group. The study tracked 140 girls diagnosed with ADHD and 88 girls without ADHC from childhood to teen and young adult years. The study's lead researcher concluded that "ADHD is a highly genetic condition with a strong biological basis." If your daughter has ADHD, you ought to bring this study to the attention of the school, 504 and/or IEP team, and ask them to be vigilant and note any concerns of such behaviors. When a child with an IEP in effect in another state moves into Arizona, the new Arizona school district (or charter school) is responsible for providing the student with FAPE. 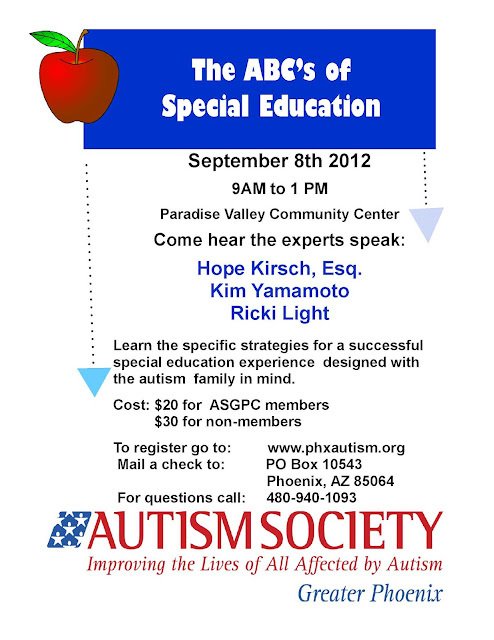 That means that the new school must provide services comparable to those described in the existing IEP from the former school until such time as the Arizona school district conducts an evaluation (if it determines that is necessary) and develops a new IEP, if appropriate, consistent with federal and state law. 20 USC 1414 (d)(2)(C)(i)(II). The new school must take reasonable steps to obtain the child's records, including the IEP and supporting documentation, from the previous school in compliance with FERPA. 34 CFR 300.323 (g)(1). 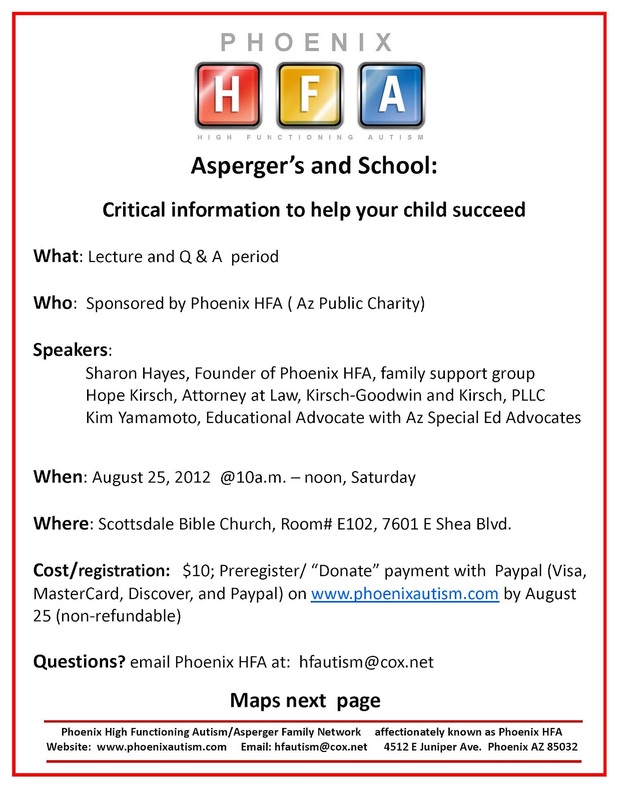 To facilitate the transition, you as parents should provide the last/existing IEP and any other school records to the Arizona school district. Typically, the new school will schedule an IEP meeting within thirty (30) school days of your child's entry into the new school, but you may also request an IEP meeting. If a parent requests an "emergency" IEP meeting, it must be held within fifteen (15) school days (not calendar days) of the request. NOTE: The new school district must implement the existing IEP (the IEP from your out-of-state school) on the first day your child enters school. Of course, practically speaking, you should have provided the school with the IEP in advance of your child's first day of school so that all services, or equivalent services, could be in place. And make sure all communications with your new school are followed up with confirming emails. A new center for children with autism has opened in Baghdad, a positive step that the world is working towards understanding those with special needs. This CNN report gives hope to those who are in need of services and support. Bravo! In this overview of special education law, a school attorney alongside two “parent attorneys” will present the framework and concepts of federal and state special education laws (IDEA, Section 504 of the Rehabilitation Act and the Americans with Disabilities Act, NCLB, FERPA, the Rowley S. Ct. decision) and discuss defenses in special education litigation and how to avoid litigation in the first instance. You will gain perspective from both sides of the aisle, and learn the legal avenues available when students’ educational rights have been violated, and how schools can avoid violations in the identification, evaluation, eligibility and placement of students with disabilities, and disciplinary procedures when a student has an IEP or 504.
Who should attend: Attorneys who defend public, charter and private schools, including nursery and pre-schools and colleges and technical schools; Judges who may have special education students appear before them. Denise Lowell-Britt is an equity partner at the law firm of Udall, Shumway & Lyons where she heads the firm’s education law practice group. Her practice is devoted entirely to representing school districts, charter schools and other public educational institutions in matters that include: special education, student disciplinary hearings, employment and personnel, student records, governing board liability and open meeting issues. 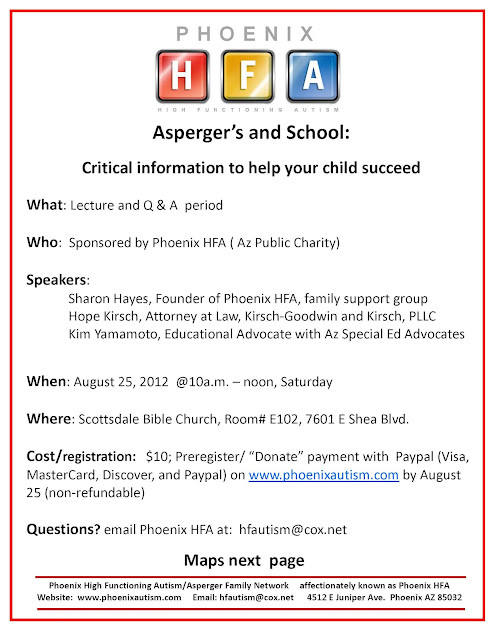 In November 2006, she was named a “Top Education Attorney” in Phoenix Magazine. In 2007, 2008 and 2009, she was selected by her peers as a “Best Lawyer in America” in the specialty of Education Law. Ms. Lowell-Britt is a member of the National School Board Association, Arizona School Boards Association and Arizona Council of School Attorneys. She has also been an adjunct faculty member for Arizona State University, teaching graduate level Education Law classes for the College of Education, Division of Educational Leadership and Policy Studies. She has been on the steering committee for the Arizona School Administrators “Principal and the Law” conference for approximately 14 years. In March 2009, Ms. Lowell-Britt was presented with the Laura Ganoung Award, which is the Arizona Council of Administrators of Special Education’s (CASE) highest award recognizing leadership in the area of special education. Hope Kirsch and Lori Kirsch-Goodwin are the founding members of Kirsch-Goodwin & Kirsch, PLLC, which has an education practice devoted to representing students and their families in disputes with public, private and charter schools, and secondary education institutions. Hope is a 17 year veteran of the New York City Board of Education where she was a special education teacher, Crisis Intervention Teacher and Unit Coordinator in self-contained classes, public special education day schools and psychiatric hospitals before embarking on law, and earned her B.S. and M.A. in special education and completed post-graduate work in in educational supervision and administration. Lori has navigated the special education system first-hand as the mother of her now teenage son who is “on the spectrum.” Hope and Lori have worked collaboratively with Denise for the past several years in the due process arena and with disciplinary matters.